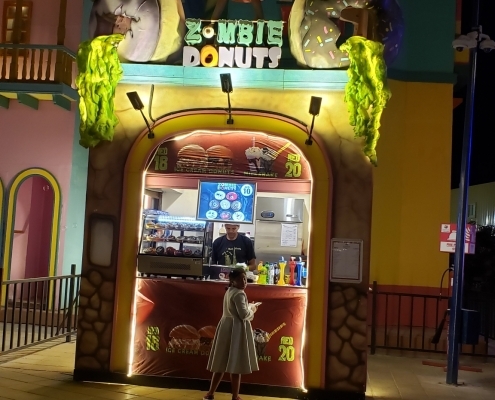 First, to get to Zombie Donuts, you must enter the giant theme park that is the Global Village in Dubai. It’s located just outside the city to be able to encompass the vast land and probably to keep the loud atmosphere relatively isolated. 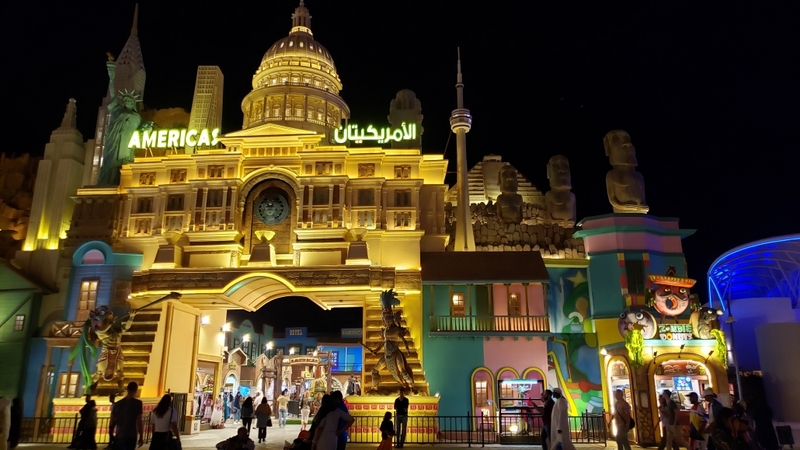 The ticket will set you back AED 15 (or 15 dhs, dirhams) which, in US Dollars as of today is a whopping $4.08. And since you’re reading this without the sarcastic inflection of my voice in your ears, know that I say all this in jest. After all, how often can you enter a theme park for less than $5? 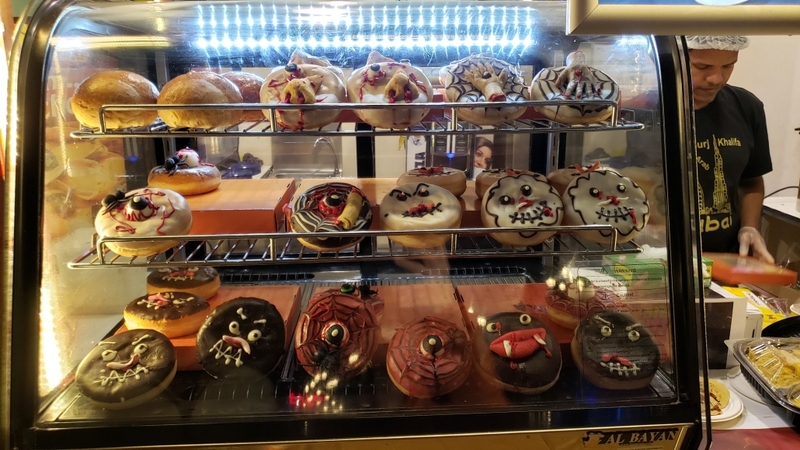 Not to get too deep into Global Village, though, you do have to go deep into the back for Zombie Donuts, the Village is almost like Disney World’s Epicot except with 20 country “pavilions”. 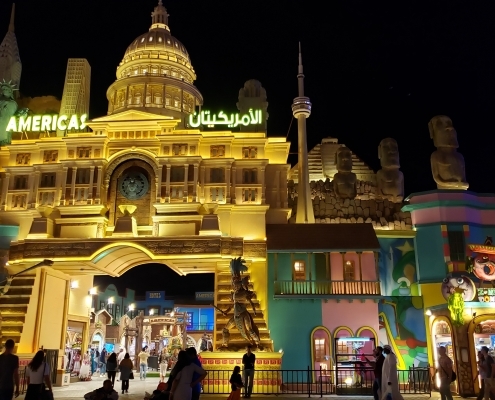 Pavilions are arranged with various country (or region)-focused food, shows, and shops. 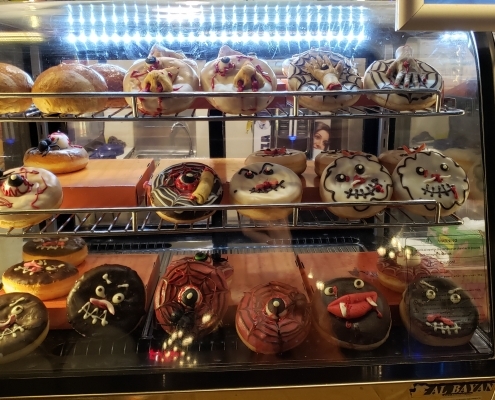 With that summary in mind, what country do you think Zombie Donuts landed in? If you singled out the gluttonous country of the US, you’d be… RIGHT! Though, you’d also be partly wrong. 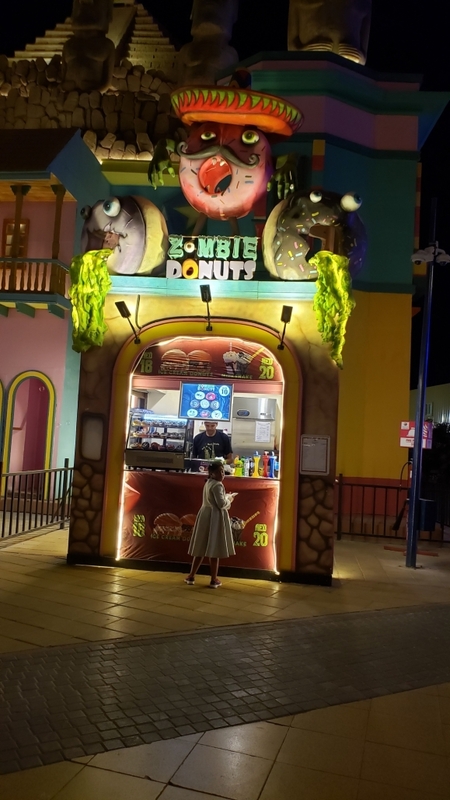 Zombie Donuts is located just outside the entrance into the Americas pavilion in a small, colorful kiosk to the right. 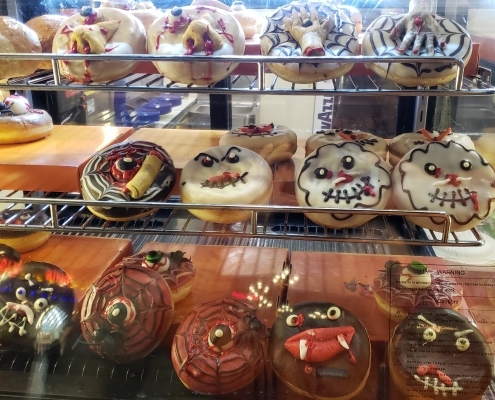 As its name suggests, zombie-like donuts are available year-round, not just for Halloween. 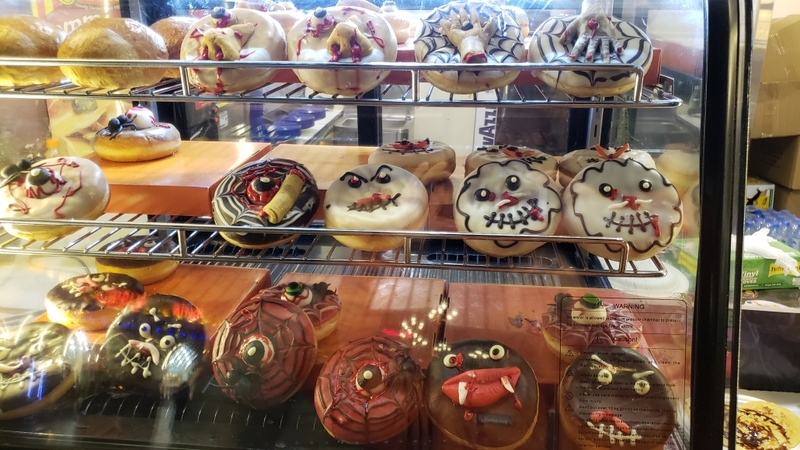 You’ll find a litany of colorful, fun, and some macabre designed donuts. 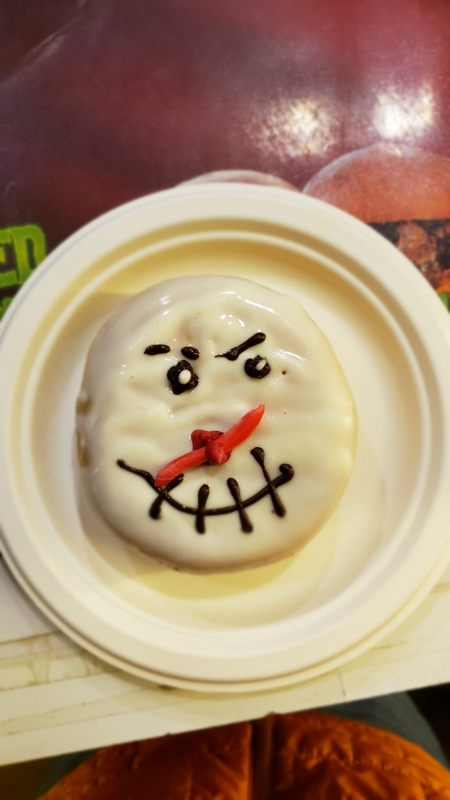 Each donut being decorated so that there is not donut hole visible. Instead, each square centimeter on top is covered in design. 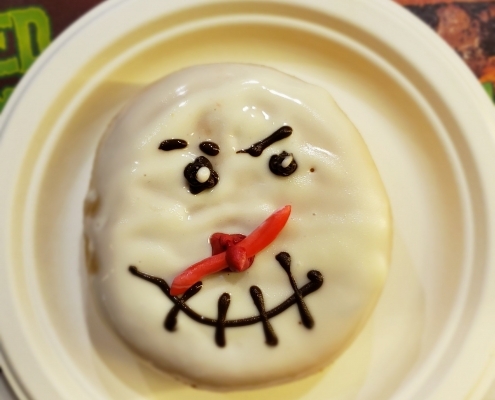 Zombie Donuts can add ice cream to *ahem* sweeten the deal.